Google says viewing data on Ethereum isn't as easy as it could be. Google is adding Ethereum to BigQuery, giving momentum to smart contracts analytics. BigQuery is the search engine’s big data analytics platform. In a blog post announcing the addition, Google explained that some parts of Ethereum aren’t as accessible as they could be. There are APIs out there for commonly used functions. Mostly checking the transaction status, or the balance of a wallet. However, if you move past these common functions, it becomes pretty hard to access data stored on the Ethereum blockchain. The blog post describes how the API doesn’t allow viewing blockchain data in aggregate. 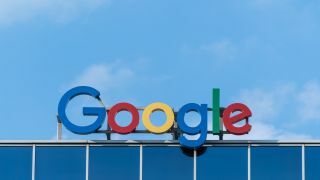 With that in mind, Google has built a software system on Google Cloud that syncs Ethereum blockchain to computers equipped with Parity. It pulls Ethereum ledger data – including smart contract transactions results - daily, and it "de-normalizes and stores date-partitioned data to BigQuery for easy and cost-effective exploration." Ethereum is an open-source and public, blockchain-based distributed computing platform, perhaps best known through its native cryptocurrency, Ether. It allows developers to build decentralised applications, or dApps.